Many of our guides are self-proclaimed locals, and we think that is awesome. We believe being born somewhere is of little significance to your knowledge and passion for an area, and it is where you choose to spend your life that truly defines you. 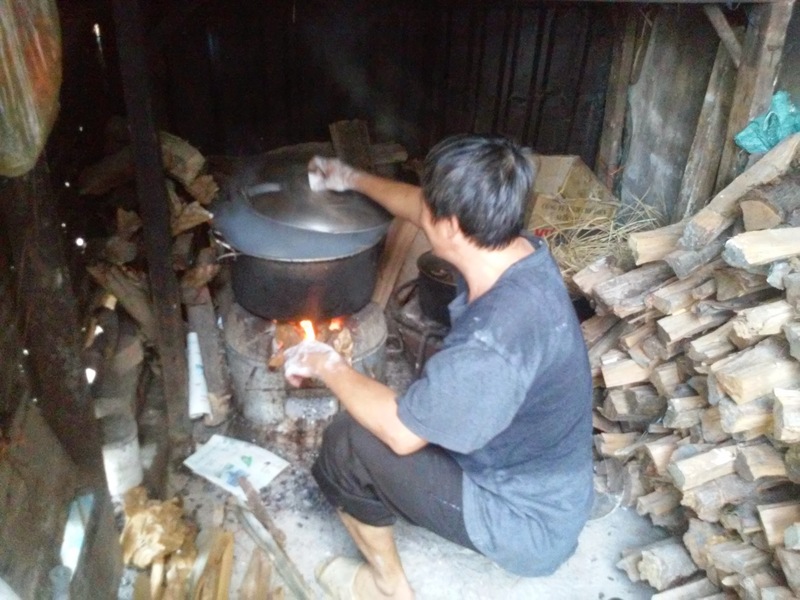 Shaun has picked Vietnam and has really got to know the local spots, for what many would call a tastebud adventure. Hue is the old capital of Vietnam, and as such, it's jam-packed with historical sites. This makes it a major stop on most tourists' route up or down the country, but we were looking to dig a little deeper into Hue's other claim to fame: legendary cuisine. Finding these places wasn't easy. It meant digging through Vietnamese food blogs (rife with lists of traditional regional food, scant on actual addresses) asking locals on the street ("Where did you go for breakfast this morning?") and getting lost, a lot. But the extra effort is always worth it, as we found a couple of real gems. 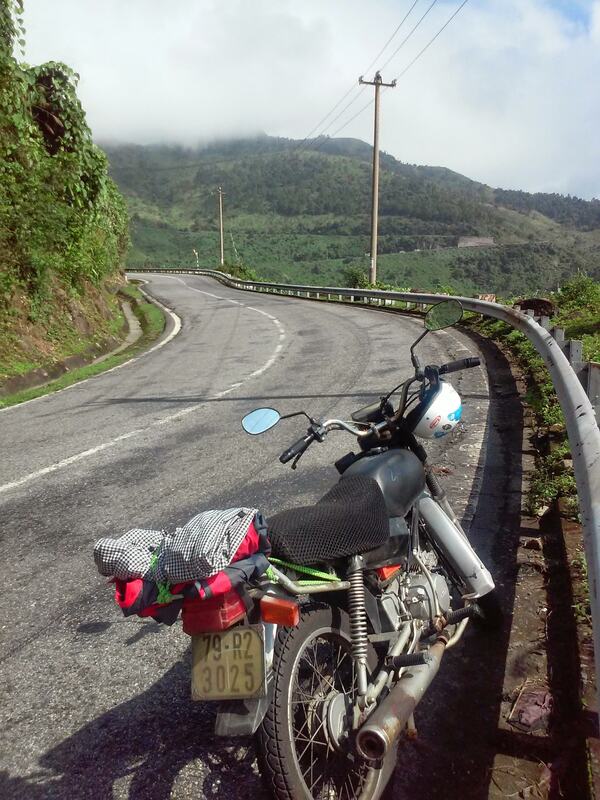 We left early in the morning and took the Hai Van Pass. I've driven this road more times than I can count, but it never gets old. When we got to Hue, our first stop was a shop called Anh Huyen at 52/4 Kim Long, the road that goes out to the oft-visited Thien Mu Pagoda. This shop sells grilled meat either in a wet rice paper wrap (bánh ướt thịt nướng) or in a bowl of noodles (bún thịt nướng). So naturally we decided to get both. The next stop was my favorite of the whole trip, and also the most difficult to find. The shop is called banh canh Ba Doi. It gets the name from the fact that they are so busy, you often have to wait (doi) a long time for the grandma (ba) to bring you your food. You can find it at 40 Dao Duy Anh. It's in the very back corner of the old walled city, across a few bridges, down an unmarked alley in an unmarked shop, and they sell an amazing noodle soup. The best part is, you can watch them make everything, from scratch, right in front of you. First, rice flour gets rolled into balls...and then boiled. The cooked balls are then mixed up by hand, rolled out into sheets.When we came at 3 pm, we were the only customers in the shop, but apparently we snuck in just before the late afternoon rush. Oh, and this bowl of noodles cost 20,000 VND, less than $1. All this snacking was making me hungry, and it was getting dark, so I figured it was time for dinner. We headed back to the old city, to a street called Mai Thuc Loan, which is lined with BBQ shops selling mostly chicken and duck. I've tried a few places over the years, but in the spirit of new things, we picked a shop I didn't know, called Thuy. Wow, what amazing BBQ! We got chicken grilled with lemon leaves (cánh gà nướng), and pork belly with the fat still on (ba chỉ nướng). Yum! Also a big 'ol plate of xôi sticky rice to... I don't know, dip in stuff, clean your hands with? Oh and a couple of Hue's famous beer, Huda. The next morning, we decided to forgo the hotel's complimentary breakfast to continue our food quest. We were in search of a Hue classic: cơm hến. It's basically a rice soup with fresh herbs, chili (especially in Hue! ), pork crackling and small little river clams. The broth is mild, like a chicken stock, and none of the flavors should be too overpowering. Again, I decided skip my normal spot and try somewhere new. Quan Nho is at 22 (?) Pham Hong Thai, in the middle of town. It's a small street, so it shouldn't be too hard to find. They also serve hot soy milk with a raw egg mixed in, called sửa hột gà, which is awesome. Last stop on our Hue Food Tour wasn't actually in Hue. We stopped in Lang Co for some seafood on the famous (and more numerous than I remember) floating seafood restaurants. Yes, it's expensive, and yes you're paying for the view, but so what? The view is awesome! And actually the food was very fresh and reasonably priced: we got these prawns cooked in garlic (tôm sóc tỏi), grilled shells (sò long nướng), and a massive plate of fried noodles (mì xào hải sản) plus a few beers (that's bia Huda), for 260,000, or about $13. This time we ate at a place called Hai Son, which I would confidently recommend, though others are good too. After getting shuttled through the Hai Van tunnel, we were back in Da Nang. Being a tourist is great, but avoiding the made-for-tourist food and eating like a local is even better. That's how I like to travel, that's the experience I try to create on my tours. 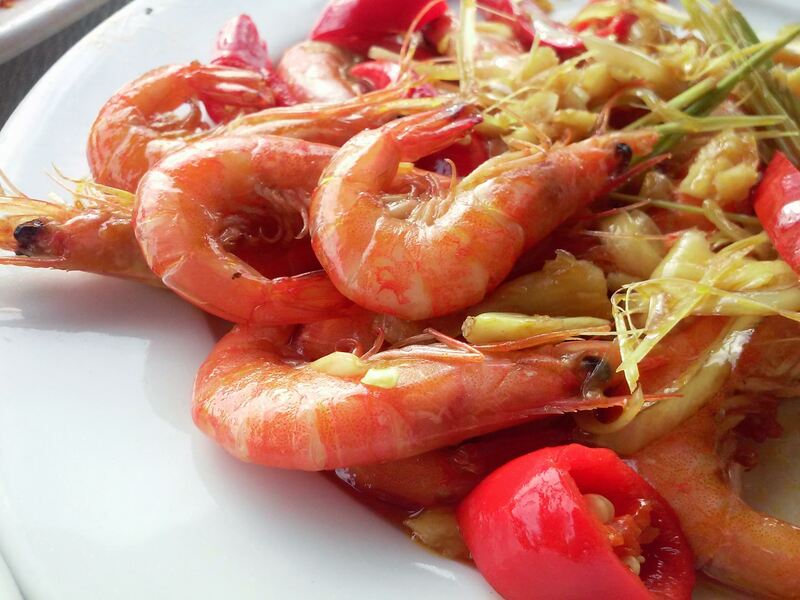 Try lots of Da Nang specialties at places only the locals know. You'll also have a chance to taste some delicious coffee and visit the local market. 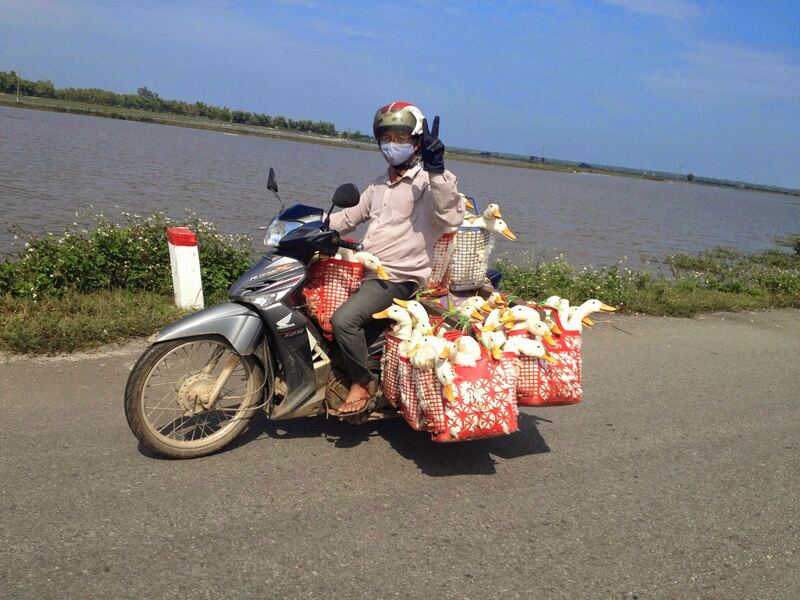 Multi-day bike trip down the Ho Chi Minh Road through beautiful countryside and jungle. All that driving is sure to make you hungry, and I'll get us set up with the local specialty dishes from each region we visit. Your only job is eating, enjoying the scenery and keeping the bike on the road. Arches Ancient Rock Art Hike (Moab)..